On Thursday March 14, Mayor Bill de Blasio of New York City unveiled a $10 billion plan to prepare lower Manhattan for the inevitable invasion of sea level rise predicted with climate change. 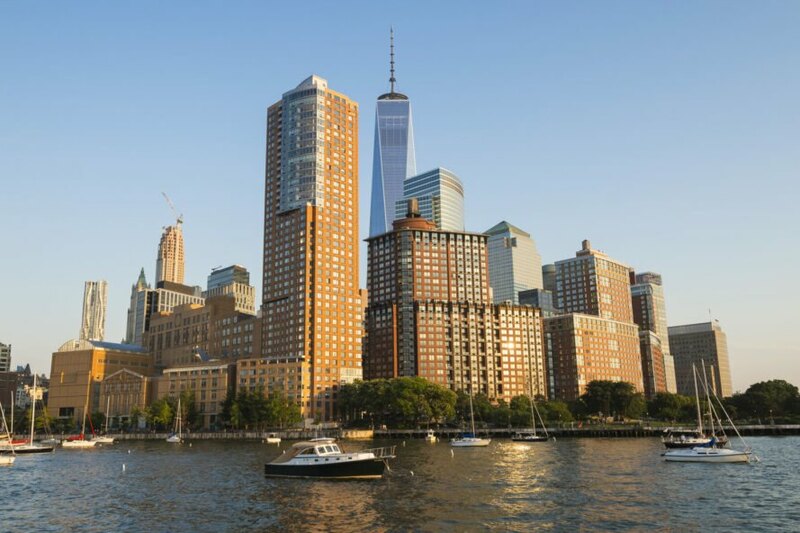 The plan was announced alongside the release of the Lower Manhattan Climate Resilience Study, which provides a complete assessment of predicted climate risks, including sea level rise, storm surge, extreme rainfall and heat waves. The plan includes extensive construction of permanent and smartly integrated “pop-up” barriers, as well as a proposal to extend the city’s footprint by 500 feet between the Brooklyn Bridge and the South Ferry Terminal. According to the study, the buildings between the Brooklyn Bridge and South Ferry Terminal are too close to the coast and too densely concentrated with utility and subway lines for the integrated barriers planned for other neighborhoods. Space for additional infrastructure is highly limited. The proposed concept is to build out the land by approximately two blocks at a higher level, so as to act as a raised barrier (called a berm) that protects the Financial District from high tides. De Blasio’s plan to expand the city’s footprint into the East River is not unprecedented. In fact, Gizmodo reports that Ellis Island, Rikers Island, the FDR Drive, the World Financial Center and Battery Park City are all built on in-filled land. Before urbanization, Manhattan was a marshy island that served as a natural buffer, bearing the brunt of waves and protecting mainland – so it’s no wonder the city built on this land is vulnerable. New York City’s former mayor, Michael Bloomberg had also proposed a similar land addition during his term. Mayor de Blasio argues that some of the funding for this expansive project should come from federal funds. In an op-ed in New York Magazine, de Blasio argued that protective measures to address climate change-related risks, such as the invasion of the sea, should be just as important as any federal military equipment. The Lower Manhattan Climate Resilience Study was funded in part by city and state funding from post-Hurricane Sandy recovery dollars. The hurricane that pummeled the city in 2012 was a wake-up call for city officials and demonstrated the imminent threat of sea level rise and storm surge. Sandy caused $19 billion dollars of damage and claimed 43 lives. Electrek reported that 72,000 buildings in New York City, worth a combined $129 billion, are within a predicted flood zone. By other estimates, 37 percent of lower Manhattan is at risk of storm surge by 2050, and by 2100 the level of the ocean is expected to be 18-50 inches higher than its current level. Environmentalists are concerned that the build-out will have negative impacts on marine and coastal ecosystems and point out that the Mayor’s plan lacks an in-depth assessment of the environmental repercussions and cost-benefit analysis. Still others argue that the plan focuses on the big banks and big business areas of lower Manhattan but ignores other economically vulnerable areas throughout the five boroughs. Given the magnitude of the build out and the expected permitting processes, the additional land may not be a reality for at least five years, during which time environmental impact assessments could be carried out. Most city officials, however, argue that with “$60 billion of property, 75 percent of the city’s subway lines, 90,000 residents and 500,000 jobs,” the proposed lower Manhattan area is a clear, though perhaps not equitable, priority for the city and ideally for the nation. Mayor Bill de Blasio of New York City unveiled a $10 billion plan to prepare lower Manhattan for sea level rise. The plan includes extensive construction of barriers as well as a proposal to extend the city's footprint by 500 feet. De Blasio’s plan to expand the city’s footprint into the East River is one of many previous proposals. 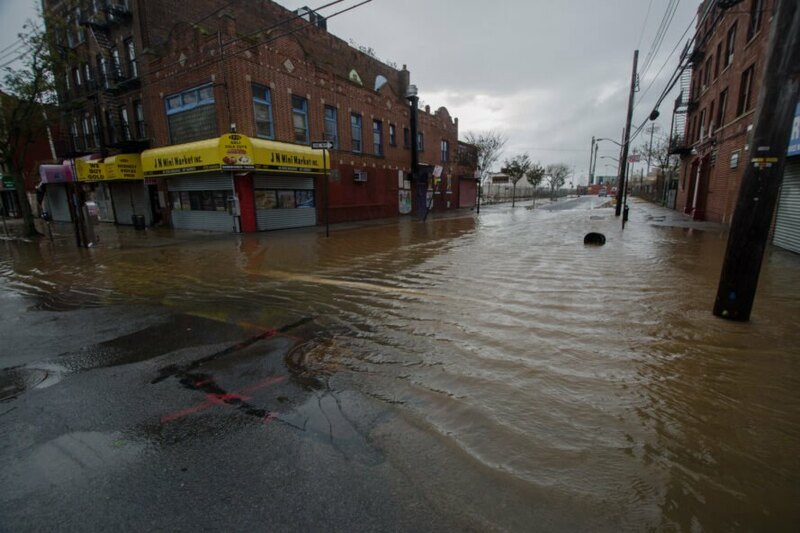 Sandy caused $19 billion dollars of damage and claimed 43 lives.